SAN DIEGO — The Maritime Museum of San Diego has acquired a Vietnam War-era Swift Boat from the Republic of Malta, to be renovated and added as a permanent display in San Diego. 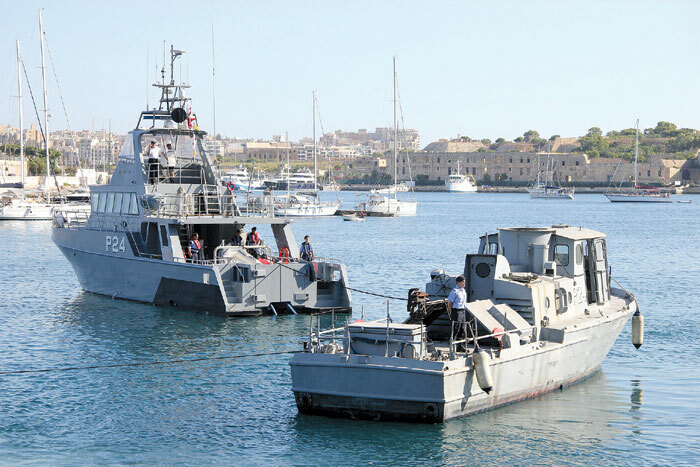 The specific 50-foot Swift Boat acquired by the Maritime Museum was originally donated by the United States Navy to Malta’s Maritime Squadron in 1971. The P24, a “control craft fast” boat, operated for nearly 40 years in Malta until being retired in 2010. The following year, Malta’s minister of defense, Vanessa Frazier, conveyed her acknowledgement of America’s veterans with the gesture to return the boat to the Swift Boat Sailors Association (SBSA). The SBSA then sought the help of the Maritime Museum, known for its reputation for ship preservation. Representatives from the Museum visited Malta July 20 for a ceremony to honor Swift Boat sailors from both the United States and Malta and to coordinate the turnover of the vessel. Immediately thereafter, the boat was secured for towing and began its return journey to the U.S. where it was originally designed and constructed. The acquired Swift Boat will temporarily dock in Norfolk, Va. before arriving in San Diego in late August. The museum plans an official public unveiling of the Swift Boat for a date to-be determined. Before then, the craft will be carefully renovated locally to bring back the vessel’s original appearance and operational capacity, under the Maritime Museum’s supervision. Swift Boats were used by U.S. armed forced during the Vietnam War to patrol the coast. Formally called Patrol Craft Fast (PCF), the Navy’s PCFs were first put into service in 1965 to prevent sea infiltration of soldiers and munitions from North Vietnam. Such counterinsurgency missions had to be executed quickly, and hence, the craft were nicknamed “Swift Boats” for their speed and agility in moving in and out and harm’s way. In preparation for war, PCF training exercises were conducted on San Diego Bay at Naval Amphibious Base Coronado. Approximately 3,500 Swift Boat sailors served as crew or support personnel from 1965 to 1973. From the museum, the fully operational Swift Boat will be used to carry passengers on narrated tours of naval facilities. Former Swift Boat sailors with current Coast Guard captain’s licenses will be invited to command those tours, whenever possible. The Maritime Museum is committed to the Swift Boat project and to the preservation and interpretation of the history it represents, according to a statement from the museum. Donations for the “Bring Her Home” Swift Boat Maintenance Fund can be made online at sdmaritime.org/swift-boat.